In the previous post, we saw that although Daniel Wallace has claimed (in Perspectives on the Ending of Mark: 4 Views, published by Broadman & Holman) that five manuscripts – minuscules 138, 264, 1221, 2346, and 2812 – contain a simple asterisk alongside Mark 16:9-20 to convey scribal doubt about the passage, 138 contains a note – part of the Catena in Marcum – that affirms the legitimacy of the passage, and the asterisk it displays is merely a marker for the unnumbered section of text that begins at verse 9. We also saw that 138 contains diple-marks – marks intended to convey that the text they accompany are Scripture – alongside Mark 16:9-20. 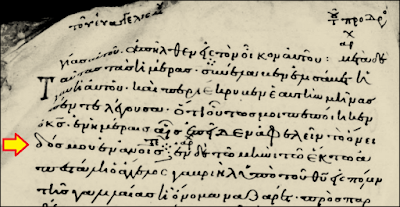 Today, let’s take a look at the next two manuscripts in Dr. Wallace’s list of manuscripts which, he claims, contain a simple asterisk next to Mark 16:9-20 to convey scribal doubt: 264 and 1221. Page-views of GA 264 can be accessed at the Gallica website; it is at the Bibliothèque nationale de France and is catalogued as Greek MS #65. Alongside Mark 16:9 (on fol. 127, numbered on the page as 117), there is an asterisk, sure enough. 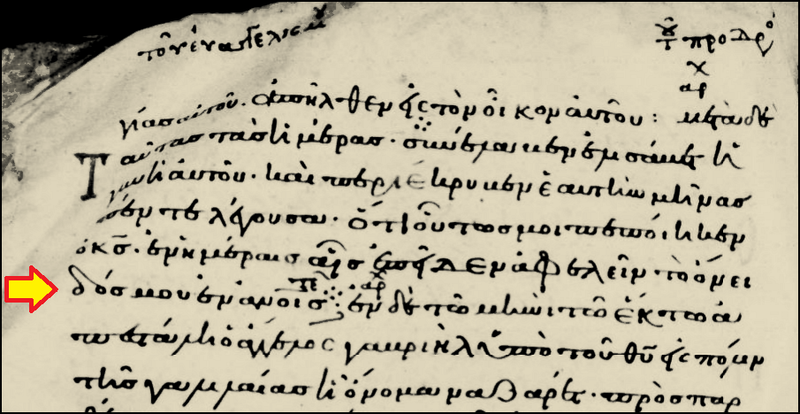 There is also a rubric at the top of the page (accompanied by a dot-lozenge), stating that the fourth [sic] Gospel-reading for the morning (an alternative way of referring to the Heothina-series) is on the page. The asterisk appears at the beginning of the lection identified in the rubric. Similarly, when we turn in 264 to the page that contains Mark 11:12, there is a rubric at the top of the page, consisting of the title for the thirty-third chapter of the book – “About the Withered Fig Tree.” And, in the outer margin of the page next to the beginning of the thirty-third chapter (i.e., Mark 11:12), there is an asterisk. Similarly, when we turn in 264 to the page that contains Luke 18:2, there is a rubric at the top of the page, beginning with the title for the sixty-first chapter of the book – “The Unjust Judge.” And in the outer margin of the page next to the beginning of the sixty-first chapter of the book (i.e., Luke 18:2), there is an asterisk. Similarly, when we turn in 264 to the page that contains Luke 19:29, there is a rubric at the top of the page, consisting of the title for the sixty-eighth chapter of the book – “The Colt.” And in the outer margin of the page next to the beginning of the sixth-eighth chapter of the book (i.e., Luke 19:29), there is an asterisk. Similarly, when we turn in 264 to the page that contains Mark 14:12, there is a rubric at the top of the page, beginning with the title for the forty-fifth chapter of the book – “The Passover.” And in the outer margin of the page next to the beginning of the forty-fifty chapter (i.e., Mark 14:12), there is an asterisk. I leave it to my readers to discern whether these asterisks were (a) intended to convey doubt about the genuineness of Mark 16:9, and Mark 11:12, and Mark 14:12, and Luke 18:2, and Luke 19:29, or (b) part of the lectionary apparatus, intended to show the lector the beginning of the section which was mentioned in the rubric at the top of the page. What about GA 1221? 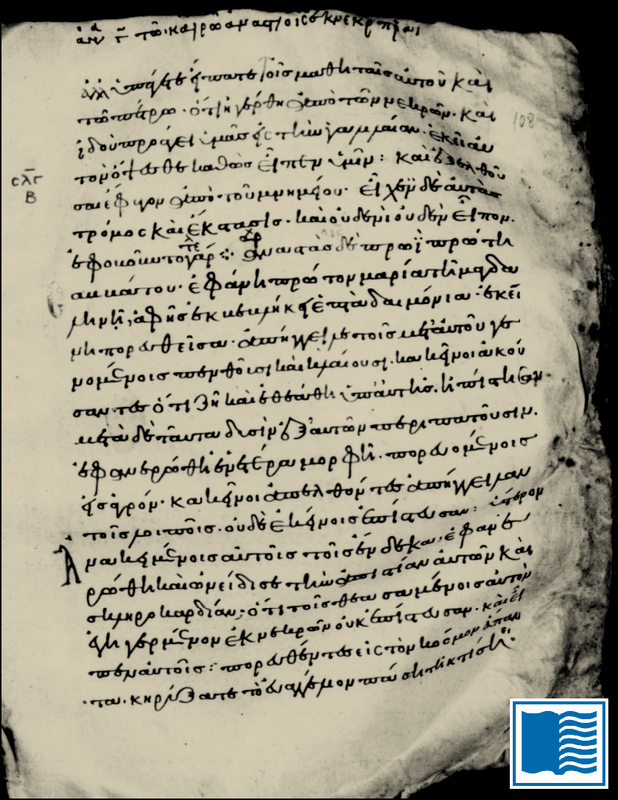 This manuscript is in the library at St. Catherine’s Monastery near Mount Sinai, catalogued as Greek manuscript #184. Its online page-views at the Library of Congress’ website, though black and white, are crisp and clear. 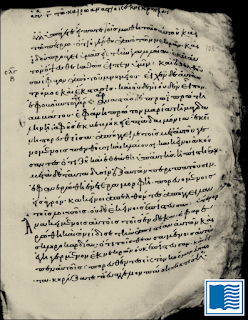 Even if only the portion of 1221 that contains the Gospel of Matthew had survived, we could reasonably deduce that when this manuscript was pristine, it contained Mark 16:9-20, because in the upper margin of the last page of Matthew, there is a rubric for the first selection in the Heothina-series of eleven readings about the resurrection – the third of which is Mark 16:9-20. A manuscript with any part of the series denoted would have the rest as well. But no deduction is needed, because the beginning of Mark 16:9 is plainly displayed on page-view 111. There is no asterisk accompanying Mark 16:9-20 in GA 1221. At the top of the page, there is the rubric for the third Heothinon, along with its incipit: “The third reading about the resurrection – ‘At that time, Jesus rose from the dead early.’” At the beginning of the lection named in the rubric, we find a dot-lozenge. In addition, on each side of the dot-lozenge, there is the τελος-symbol signifying the end of the preceding lection, and the αρχη-symbol signifying the lection’s beginning. between "stop" and "start" symbols. ● Halfway through Mark 6:7 (the beginning of chapter 14, for which the rubric appears in the upper margin). ● At the beginning of Luke 3:1 (the beginning of chapter 5, for which the rubric appears in the lower margin). Obviously, the dot-lozenge in 1221 between Mark 16:8 and 16:9 is not an asterisk, any more than the other dot-lozenges are – and, like the others, it has nothing to do with expressing scribal doubt. Next: Fact-checking Wallace about GA 2346, 2812, and 137.